Sanibel Island Real Estate, Captiva Island Real Estate - Summer on Sanibel is Fantastic! Summer on Sanibel is Fantastic! Check out the video below! Our area is considered to be a great location for the release of rescued birds from the oil spill area. This video is from our local 2-NBC TV news station. It seems like the entire Gulf coast has sighed a big sigh of relief at the news of the BP oil spill finally being capped. 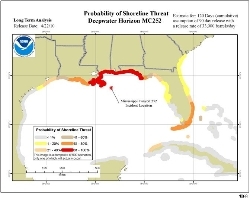 On the other hand, there is still oil floating around in the northern gulf waters. Sanibel and Captiva Island have remained absolutely clear throughout this disaster and reports from The National Oceanic and Atmospheric Administration (NOAA), our area has less than a 1% chance of ever seeing any oil in our waters. Meanwhile, our summer weather and calm seas have made for a great time to enjoy and relax! Reports of great fishing and fun events have kept everyone busy. From fireworks to road rallys, we sure seem to keep busy down here! Have a great day and be sure to come and visit us!